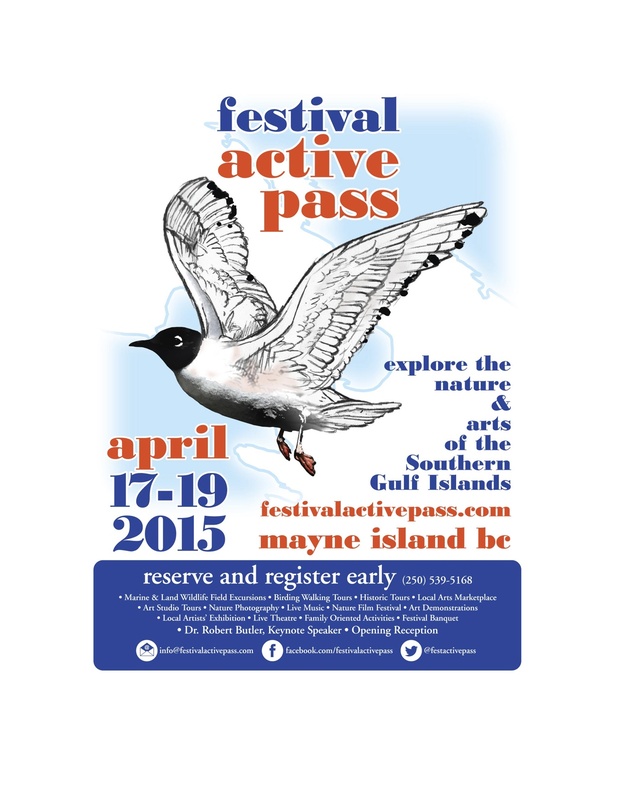 The Active Pass Nature and Arts Festival will take place on Mayne Island April 17 to 19, 2015. Birds and birding will be featured activities with morning guided birding tours both on land and by boat, with opportunities for photographers too. To promote and celebrate the natural beauty and wildlife of the Active Pass Region of the Salish Sea, the unique communities within it and the art it inspires.